0:44 there is a method called equals – every class has it. In this post I will try to make clearer several terms used in testing methodology and also to answer some questions that could generate confusions for many junior level testers. I won’t make a testing terms glossary but I will just go through some misunderstandings which I also faced myself some time ago. verification is when you check to see if the product was built right and validation is when you check for the right product. Other definitions would be verification is truth and validation is correctness. This subtle difference has a lot to do with the difference between smoke testing and sanity testing, but I will come back on this topic later on this post. 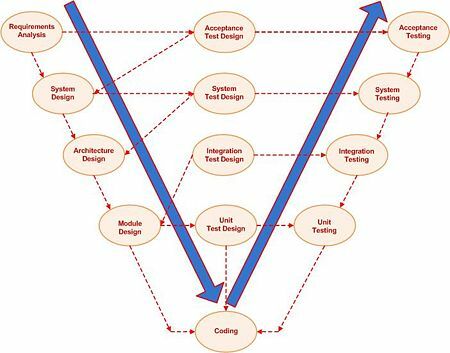 One meaningful definition that I’ve found and I would like to share it with you is the one in the context of V software development model.